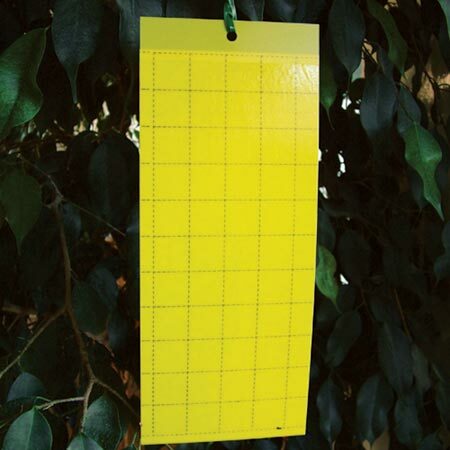 Small flying insects, like whitefly, are attracted to these yellow pesticide-free traps, and then become completely stuck to the non-drying glue coating. However, unlike similar products the glue does not adhere to hands or clothing and prior to use has a 'cover' paper. The double sided trap works continuously for several months. Perfect for the greenhouse or indoors. 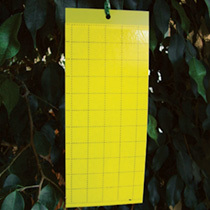 Contains 7 fly traps plus hangers, each approximately 10cm (4") x 24cm (9½"). The effective way to combat flies in the greenhouse.